Hallelujah! The snow has melted away and the blooms are blooming! I’m very grateful for the snow for our dry summers but my legs are ready for some sunshine! 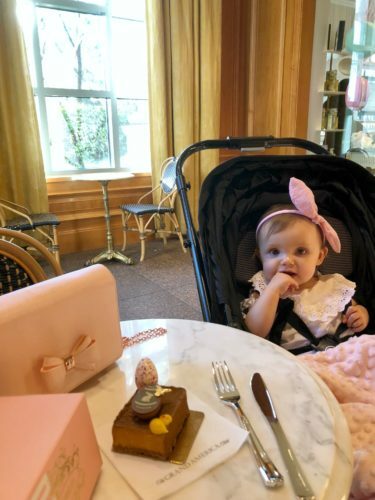 Yesterday I took my Everly Verina Belle on a dessert date to La Bonne Vie at The Grand America. 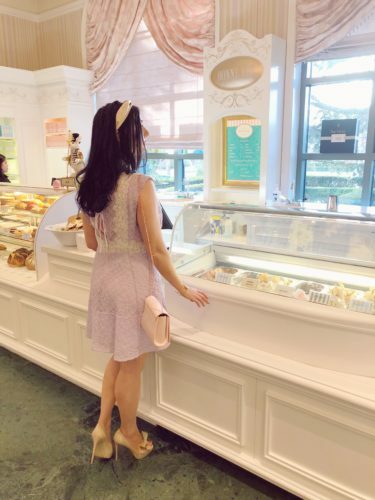 “Pastel macarons in endless tints and tastes. Lemon chiffon tarts. Golden croissants and genuine gelato. La Bonne Vie shamelessly spoils our guests with in-house treats—and room-service delivery. 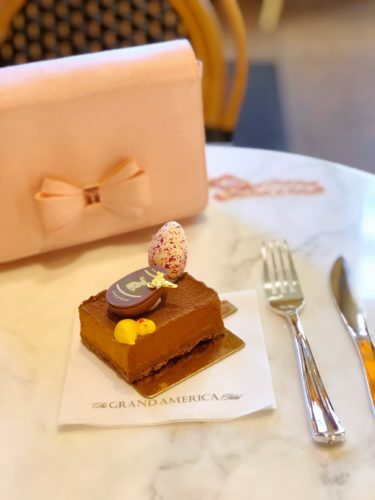 You need no excuse to indulge.” ~ The Grand America. Now, doesn’t that just scream (in a luxurious, soft voice) Sugared Lemon?!?! 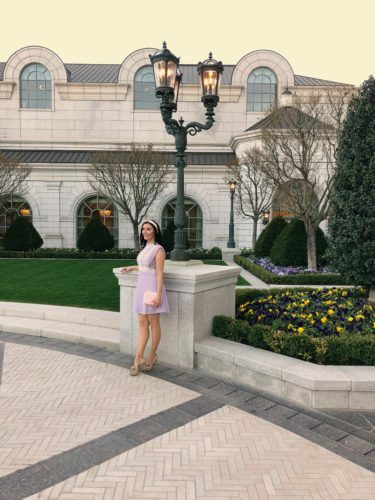 It’s one of the most enchanting places in Salt Lake to dine! For our momma and baby date, I wore my new Easter dress (currently on SALE and an extra %20 off) from Sandro Paris. The lace details and fabric of this spring dress are absolutely exquisite! Every girl needs to have Parisian ladylike dress that makes them feel divine and Sandro Paris definitely accomplishes that. 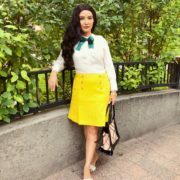 My Valentino heels are out of stock, so I added similar bow heels in a variety of prices that you can shop above. Learn more about Sandro Paris here!